AX.INTEROP is the Axiros test platform that supports the Broadband Forum BBF.069 CPE Certification program. AX.INTEROP is the Axiros test platform that supports the Broadband Forum BBF.069 CPE Certification program. 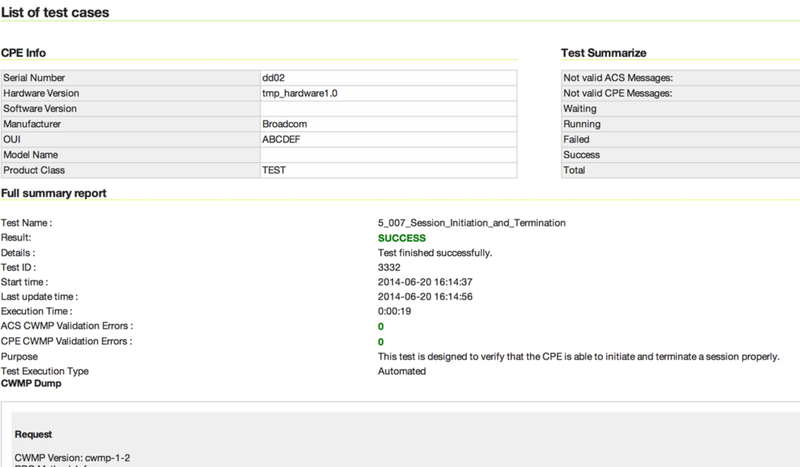 AX.INTEROP is a truly versatile and ACS agnostic scriptable ACS simulator to test device implementations of the Broadband Forum‘s popular TR-069 CPE WAN Management Protocol (CWMP).